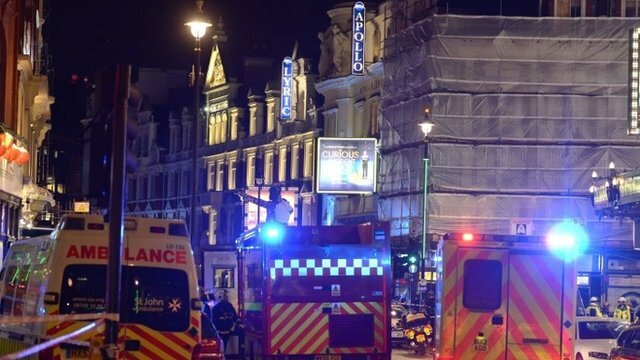 'People were covered in dust' Jump to media player An eyewitness at the Apollo Theatre in central London said he heard a cracking that sounded like "sudden structural failure" while watching the Curious Incident Of The Dog in the Night-time. 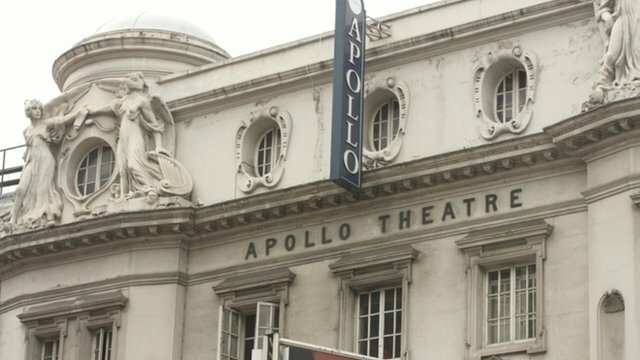 London theatre 'balcony collapses' Jump to media player A rescue operation is under way after part of a balcony or roof collapsed at the Apollo theatre in central London. 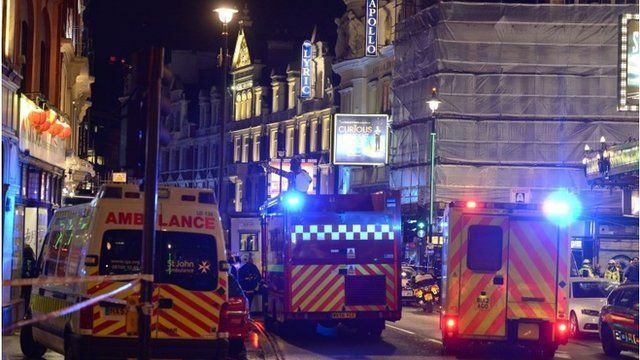 'I got hit on the head' Jump to media player An audience member who was in the Apollo Theatre in central London when part of the roof collapsed has been describing what happened. 'Everyone was rushing for the exit' Jump to media player Part of a roof in the Apollo Theatre in central London collapses during a performance, according to eyewitnesses. 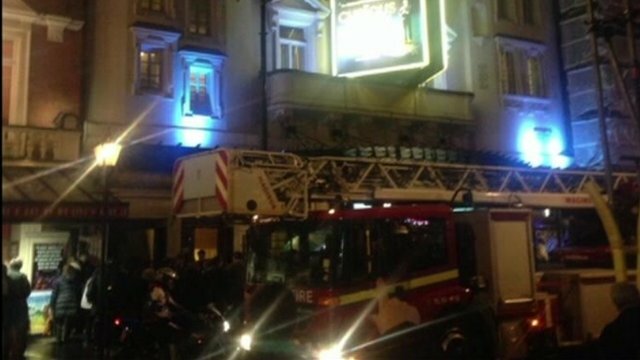 Part of a roof in the Apollo Theatre in central London has collapsed during a performance. The theatre in Shaftesbury Avenue was packed for a performance of the Curious Incident Of The Dog in the Night-Time. Simon Usborne, who was in the audience, said he heard cracking which sounded like "sudden structural failure".